Fresh summer tomatoes are the best, but hard to come by, especially in the colder months. Hydroponics can be an economical alternative, capable of delivering fresh luscious and healthy fruit all through the year. Hydroponics can deliver fresh fruit that is as tasty as outdoor grown tomatoes from your local grocery store or farmer's market. The main advantage is that you can grow this summer fruit all through the year, even in winters. So it comes as no surprise that tomatoes are among the most popular crops for both commercial and enthusiast hydroponic grow operations. 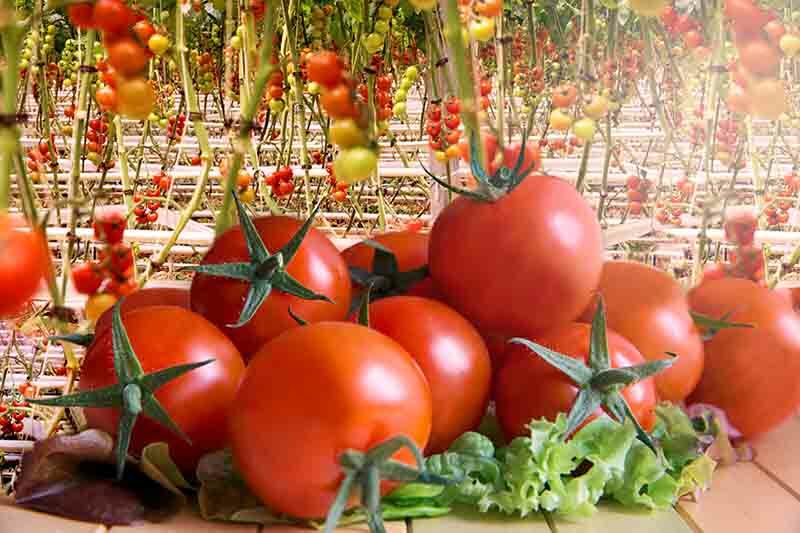 Tomatoes are quite hardy plants that respond very well to hydroponic growing methods. You will find many online sources claiming them to be ideal for novices in hydroponics. This is not entirely true. If you already have some experience growing fruits and vegetables in outdoor gardens, you are probably experienced enough to grow them indoors as well. But if you are new to the "growing your own greens" concept, tomatoes are not a wise pick as your first hydroponics crop. The main reason is that all fruit plants require more inputs and care than leafy greens and herbs. This includes careful monitoring nutrient mixes, and adequate lighting, not to mention a lot of maintenance and pruning. And to make things more complicated, tomatoes are vulnerable to a host of different bacteria, virus, fungi, and pests. Tobacco mosaic virus, fungal blight, and various bacterial infections can kill your crop. Whiteflies, many worms, and spider mites can all appear on your indoor grow area, eating and killing your tomatoes. So it might be better if you learn the basics using simpler crops like lettuce, kale, basil or thyme. 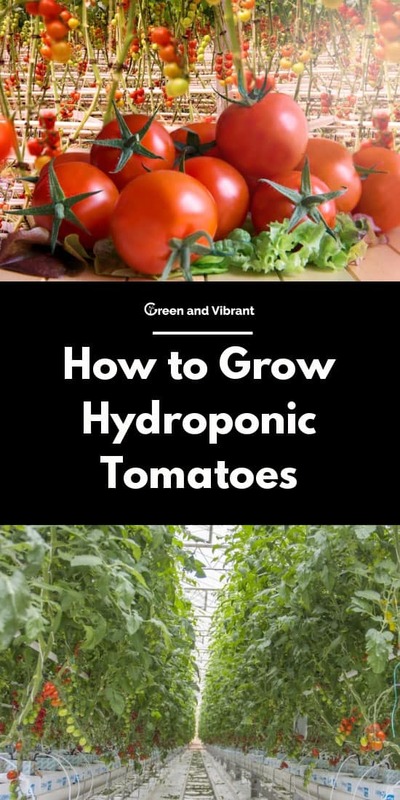 And once you gain some hydroponics cred under your belt, you can consider growing tomatoes. Saplings are the easiest route to having your own hydroponic grow system. You can buy these from your local hydroponics/garden store. But using saplings of tomatoes grown outdoors is not a good idea for a hydroponic system. Seeds germinated in outdoor soil could be contaminated by pests and germs. Just one infected seedling is enough to destroy an entire crop. So, hydroponic veterans prefer to grow their seedlings indoors. This route also allows you to grow rarer heirloom varieties of tomatoes, as these are not commonly available as saplings in nurseries or garden stores. Sprout tomato seeds in a tray filled with a growing medium. Rockwool cubes are a great option. Wet the growing medium with water (pH of 4.5). Keep the seeds covered in a moist, damp area, between 20-25 degrees Celsius. Tomato seeds typically sprout within 10-14 days. Once they sprout, you should immediately transfer them into your hydroponic system with adequate light. The tomato is native to South America. European colonizers spread the fruit to the rest of the world. After nearly four centuries of cultivation, there are thousands of tomato varieties in the world at present. Tomato vines can be either determinate (bush) or indeterminate (vining). All tomatoes are vine plants, with stems or runners that climb across structures. Of these, the determinate (bush) varieties spread and sprawl along the ground, while vine varieties prefer a more vertical growth. Indeterminate plants have no fixed height limit. With proper pruning and support, these plants will continue growing and bearing fruit repeatedly. Commonly determinate plants are better for hydroponic hobbyists, and small indoor grow areas, as they grow only to a set height, anywhere from 2 feet to four feet or more. After flowering and bearing fruit, the growth of the plant is greatly reduced. However, bush tomatoes are harder to prune and grow in a trellis system. In contrast, you can easily prune a vining variety, selecting a single "leader' stem and encouraging it to climb using a stick or trellis for support. Both bush and vining varieties are used in commercial production with great results. Specialty varieties like Cherry Tomatoes, Cocktail tomatoes, Plum Tomatoes, and Italian varieties. Tomato plants thrive in summers and typically stop bearing fruit as winters approach. Research indicates that the amount of light received decides the level of photosynthesis that occurs in the plant. This is a major factor that can affect fruit size and quality. All tomatoes need strong light for at least 8 to 10 hours per day. Some high yield varieties do better with 18 hours of light. When they are fully mature, tomato plants also need around 8 hours of darkness for respiration. Fruit production can be maximized by giving 16 hours of light. Metal halides are the best option due to the powerful light outputs. Others like CFLs and LEDs are also available but may result in less growth. As warm weather crops, tomatoes do well in temperatures between 18-25 degrees Celsius (around 65-77 Fahrenheit) during the day. They can also survive between 55-85 degrees Fahrenheit. At night, the temperatures have to be maintained at a lower level, ideally between 12-18 degrees Celsius. Extended to temperatures lower than 50 or higher than 90 degrees F can kill the plants outright. Try to keep the ambient temperature between the recommended range for best results. To maintain ambient temperatures, a grow tent can be a good choice. These create a closed area where it is easier for you to control environmental factors. As already mentioned, tomato plants are veritable nutrient hogs. They need nearly a dozen different elements, in proper order, for best results. You can probably get by using a general plant nutrient mix designed for hydroponics. But if you want to maximize yields, many brands do sell specific mixes aimed at tomatoes. 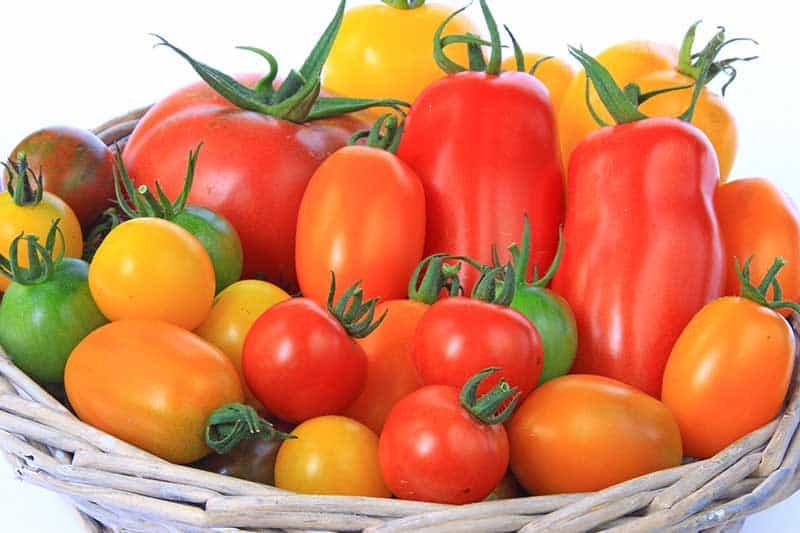 Tomatoes need high levels of phosphorus, nitrogen, and potassium. As for pH, the plants thrive in a slightly higher than average pH of around 5.8-6.3. EC levels need to be maintained between 2.0-3.5 milliMhos. This can usually be achieved by ensuring the correct mix of nutrients. Two-part nutrient mixes are the best for tomatoes. With these, it is easier to achieve the desired level of nutrients. 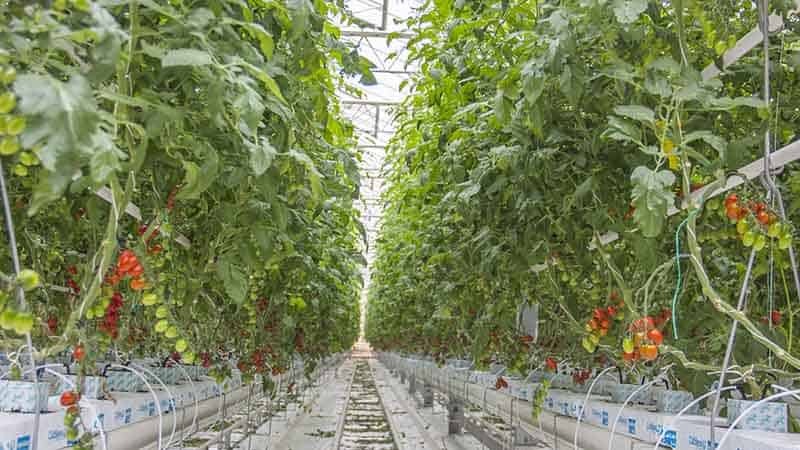 Tomatoes can deliver high yields with the right kind of support from growing medium. The option of growing medium is also connected to the technique that you plan to use for hydroponics. So you have a lot of choices here, as tomatoes can thrive in any of the different hydroponics techniques. Tomatoes are hardy enough to work with a wide range of hydroponic techniques. But as they are heavy feeders, the level of maintenance required can be a problem for some techniques. For example, in the fruiting stage, these plants can take massive amounts of potassium and micronutrients. If you are using a recirculating system, the pH level can get altered pretty quickly. Even in passive systems, the pH level of the water needs to be monitored closely. But in recirculation, constant vigilance is needed to ensure that no deficiencies occur. Fill the reservoir with water. Each tomato plant needs minimum 2.5 gallons. So plan according to the number of plants you want to grow. Use double the minimum quantity. Make holes in the lid to allow for the tubes. Always use a lid on the reservoir to discourage algae growth. Fix the smaller tray above the reservoir. For ebb and flow, you need a tray with tall sides. Install the water pump or fountain pump inside the reservoir. It should be powerful enough to pump water up to the grow tray and flood it. Get an adjustable pump for best results. Connect the tray, pump, and reservoir using the two tubes. You will need to drill two holes at the bottom of the tray. Use the thinner tube for the water inlet, and connect it to the pump. 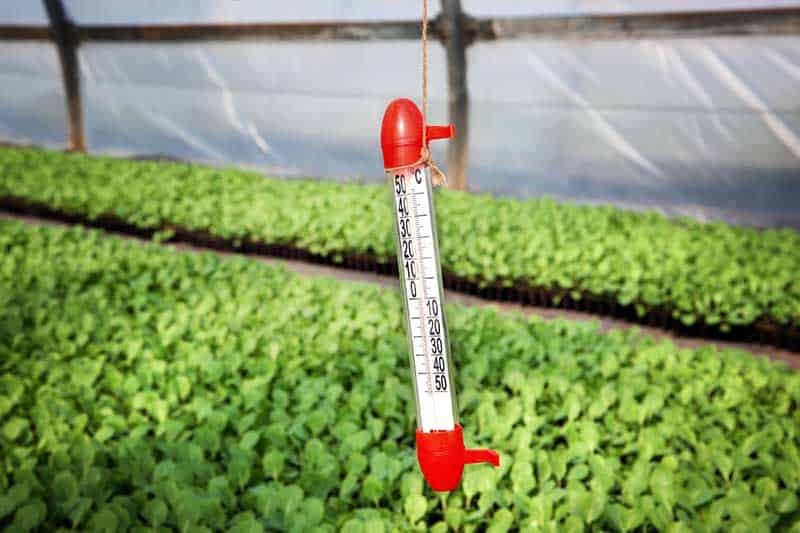 In the grow tray, the larger tube should protrude to the flooding limit. To avoid any loose gunk or growing media clogging your system, install filters on both inflow and outflow tubes. Run the flooding system once over to ensure that everything works. The outflow tube should prevent the system from flooding your room. And once the pump is stopped, the inflow tube placed close to the bottom of the tray should drain the water completely. Place the saplings/plants in the growing medium inside individual pots. Place these pots evenly spaced in the grow tray. Add the recommended concentration of nutrients to the water. Always use hydroponic nutrients for your system. Connect the pump to the timer. In the beginning, try running the motor for 30 minutes, every two hours. Do not leave the plants high and dry for more than 2.5 hours. If growing indoors, install adequately powerful grow lights at proper distances. Make sure that the plants get a good 14-18 hours of light, especially when fruits appear. As your tomatoes grow bigger and start to ripen, their water and nutrient requirements will increase. Don't forget to check the water for pH and EC levels, on a daily basis if possible. Always replace the water+nutrients mix at least once a week. If growing indeterminate tomato plants, prune them regularly, using your bare hands to break unnecessary stems. Consider using a stake to keep the plants upright and above the water/growing medium. Once flowers appear, you will need to pollinate them using your fingers or q-tips manually. Do this once the pollen-covered sticks or stamens at the center of the flowers get fully exposed. The time to harvest varies depending on the cultivar used. Some tomatoes bear fruit within 50 days, while some may take as long as 100 days after planting for the first harvest. Growing your own tomatoes indoors using hydroponics can be a deeply satisfying (dare we say "fruitful"?) endeavor. Not only can you get juicy and tasty tomatoes all year round, but you can also save a lot of money in the off-season when tomato prices go through the roof. Unlike herbs or leafy greens, tomatoes are versatile and useful in a wide range of dishes, salads, and even condiments. If you have at least some experience and success in growing leafy greens and herbs in hydroponics, tomatoes are what you need to try next. Good luck!